Every Northern Briar's pipe is made by hand on a 70 foot traditional British narrow boat. Originally these boats transported coal, lumber and other materials/products around the UK. Now converted, with a very small work shop, Ian works and lives on board. Ever pipe Ian creates is based in the grain, shape and size of the briar, giving each pipe its own unique quality. He is a third generation pipe maker and has been involved in pipe making since he was a young boy. Like all family businesses, Ian started off small, by polishing pipes and worked his way up. Over the years he was taught silversmithing by his grandfather, and stem production by his father. Before his father stopped making pipes, Ian's main role was repairs and stem manufacture. Now Northern Briar's are one of the biggest selling Artisan pips produced in the UK, with many going around the globe. With his history and attention to detail Northern Briar pipes offer the smoker the chance to own a piece of classic English manufacture, without the production line attitude found with the remaining UK factories. 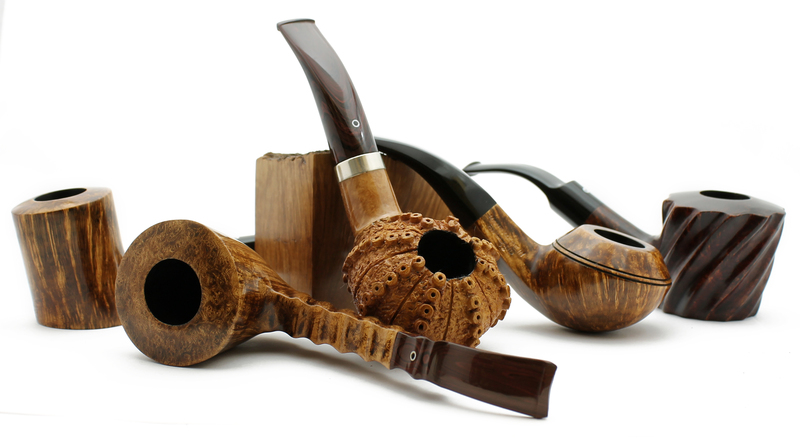 Ever pipe is made from Mediterranean briar, and German rods for Vulcanite & acrylic stems.